You go offline for a couple of days and what happens? Only the deluge of RED camera information since it was announced. 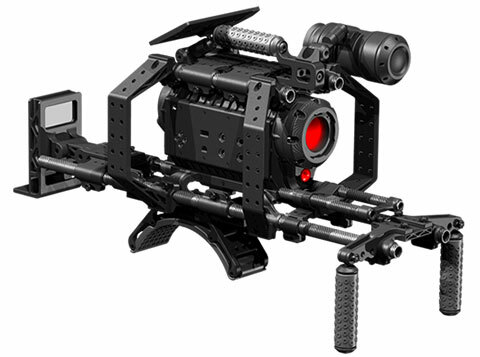 The Red Digital Cinema website has been updated, and Mike of HD4Indies has been working Red’s booth at IBC and has been furiously blogging his experiences. The camera still looks a little OMG IT’S TEH FUTUAR kitschy to me, but to be fair I don’t like the design of most Oakley gear, and if Oakley sales are anything to go by a lot of people are going to love the look of this thing. Not that it really matters, at the moment they’re delivering the quality they promised at the price they promised, so people would buy the thing if it was put together Mad Max style from rusted car parts.